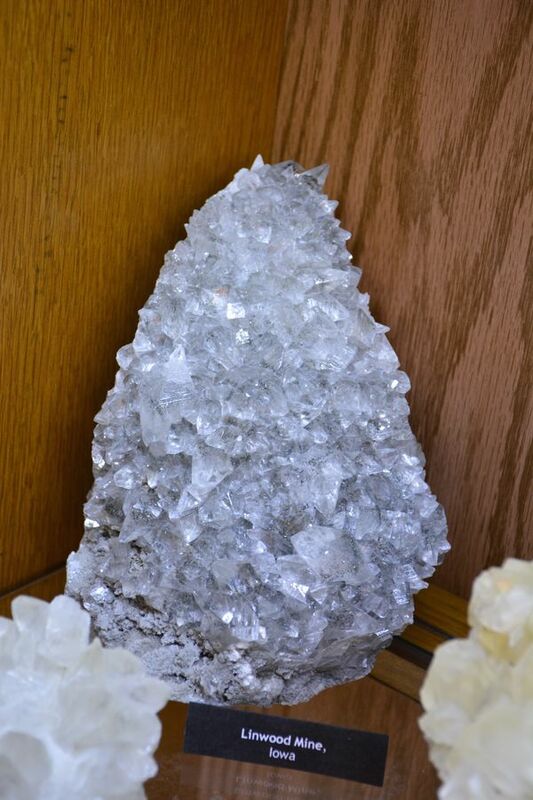 Posted: Jan 01, 2015 21:15 Post subject: Re: Mineral Display Case Project. 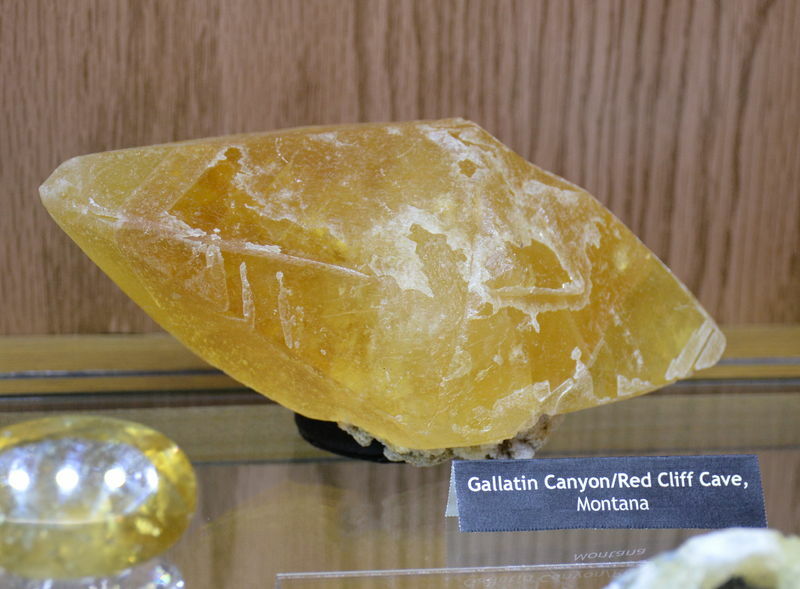 I see quite an emphasis on Calcite. 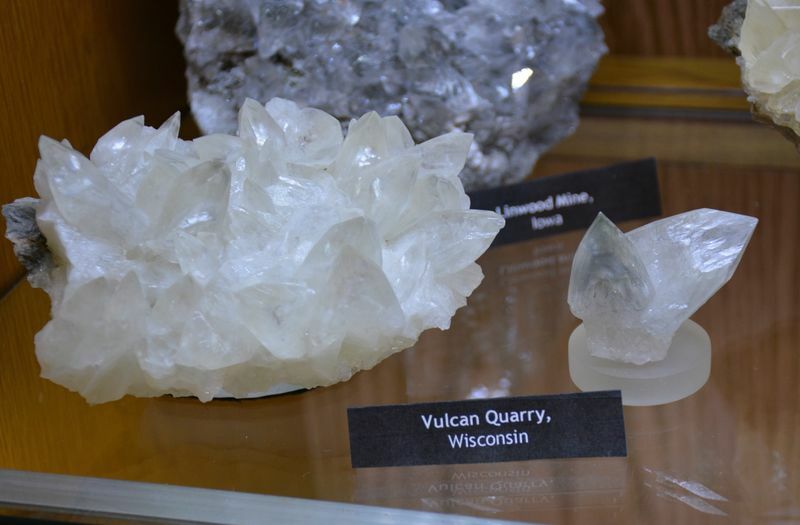 Are you prioritizing or specializing in Calcite for your species ?. Are they also self-collected or simply acquired? 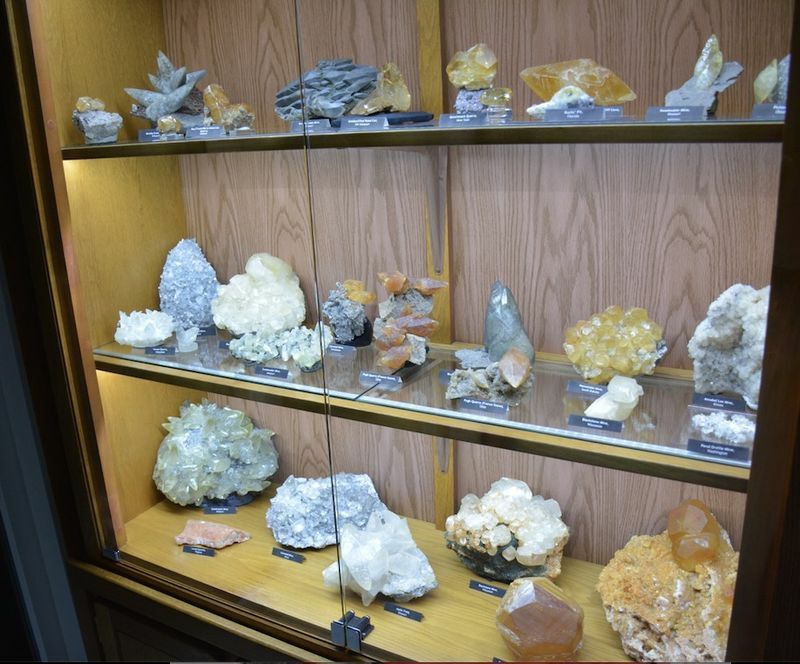 Posted: Jan 01, 2015 21:30 Post subject: Re: Mineral Display Case Project. I specialize in USA calcite. These are all acquired through various dealers or collectors. None of these are self collected. 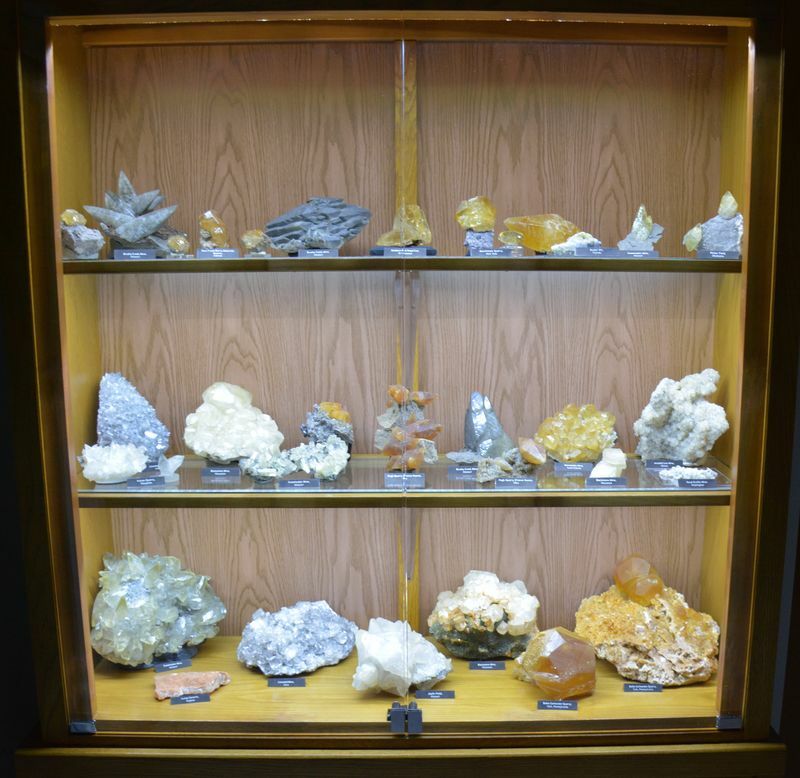 Posted: Jan 02, 2015 04:00 Post subject: Re: Mineral Display Case Project. Well done Ed! Our collection is wrapped and in boxes:-( Perhaps it is time to follow suit. Regards. 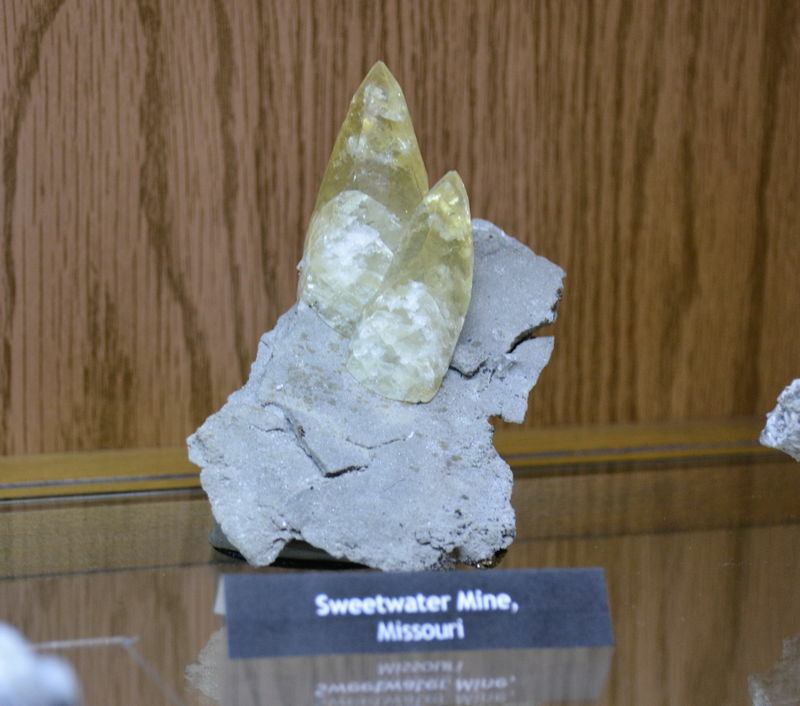 Posted: Jan 02, 2015 22:42 Post subject: Re: Mineral Display Case Project. 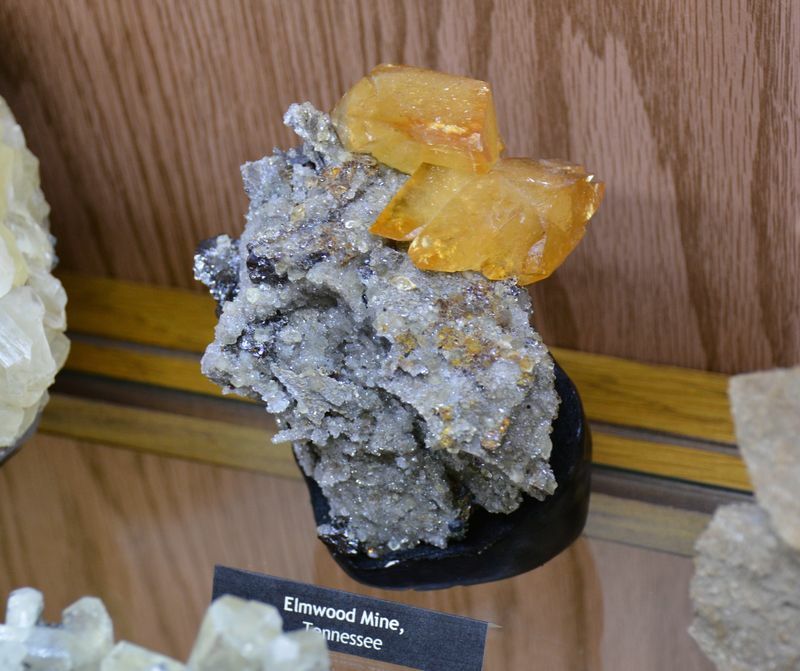 Posted: Jan 02, 2015 23:13 Post subject: Re: Mineral Display Case Project. 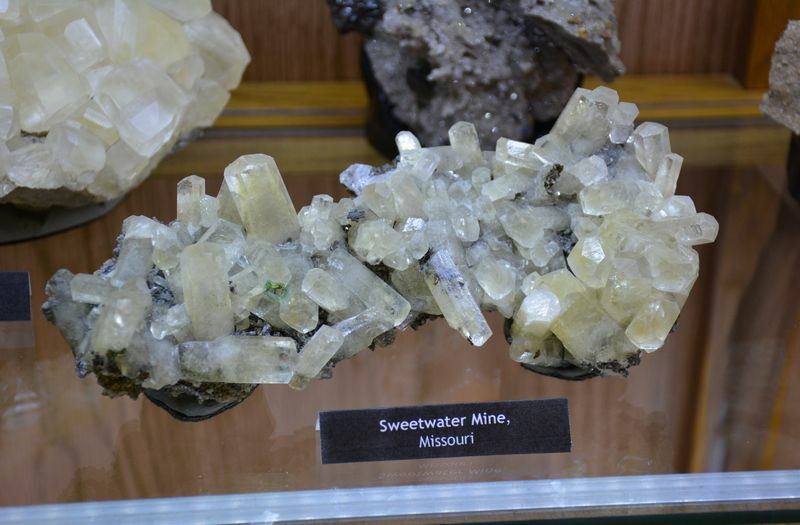 Posted: Jan 02, 2015 23:17 Post subject: Re: Mineral Display Case Project. Three at a time. It doesn't seem to like me posting too many at once. 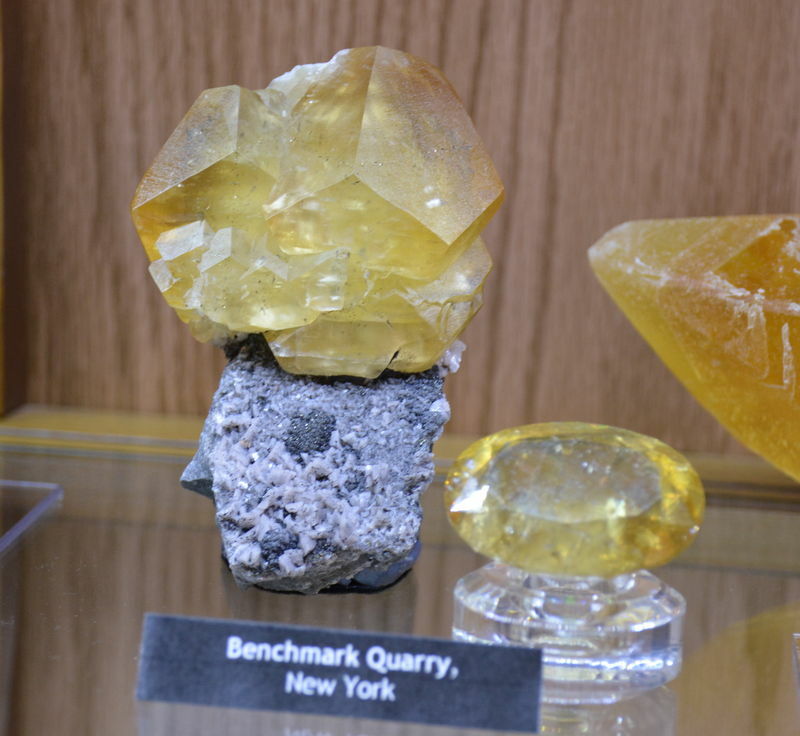 Posted: Jan 02, 2015 23:26 Post subject: Re: Mineral Display Case Project. The Homestake mine piece seemed unusual. I haven't seen any other calcites from Homestake so far. The Annabel Lee specimen is a "bottle cap" variety. 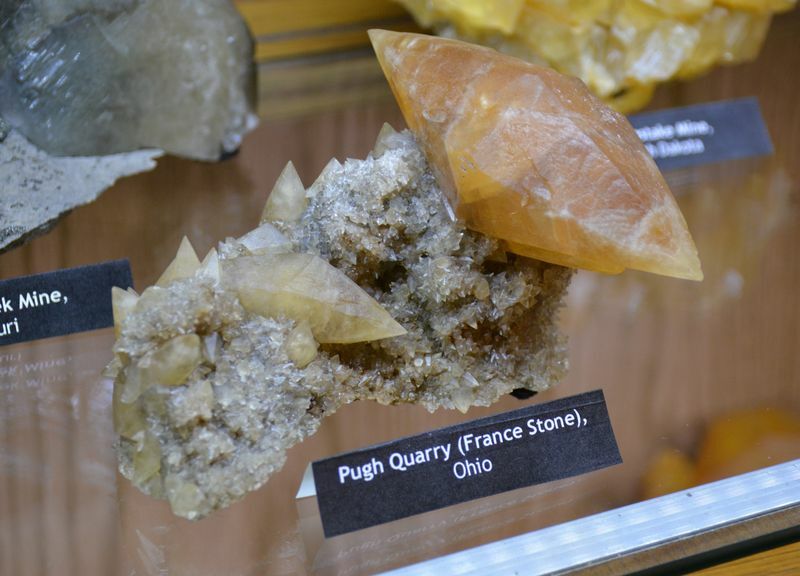 Posted: Jan 02, 2015 23:31 Post subject: Re: Mineral Display Case Project. I love large Linwood pieces. I could fill a whole cabinet with them if I could find enough haha. The Large Sweetwater in this set of photos is one of my favorites. 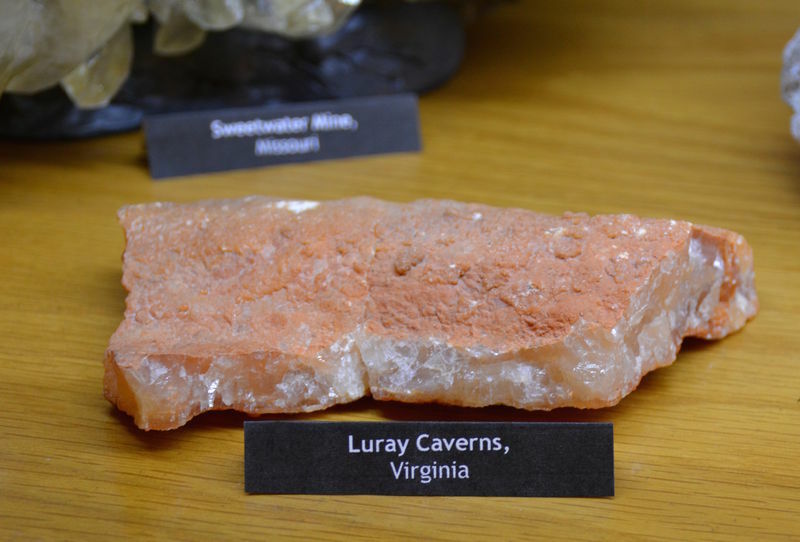 Posted: Jan 02, 2015 23:38 Post subject: Re: Mineral Display Case Project. 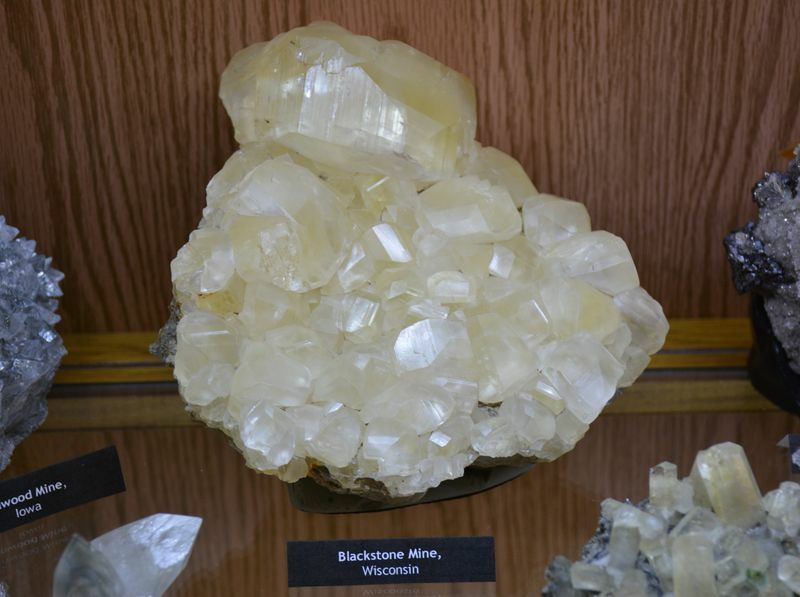 There's the Shullsburg calcite again. 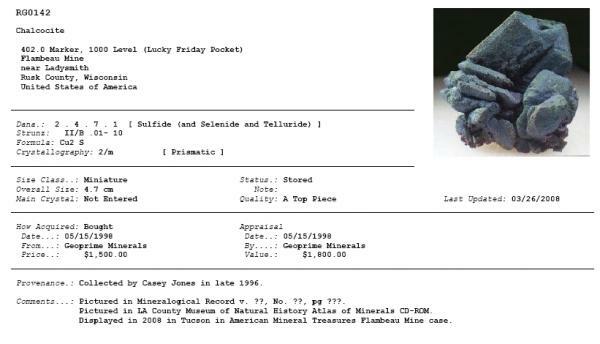 The York specimens are from the 1993 find by Eric Meier, Bill Longacre, and Joe Hoffman. 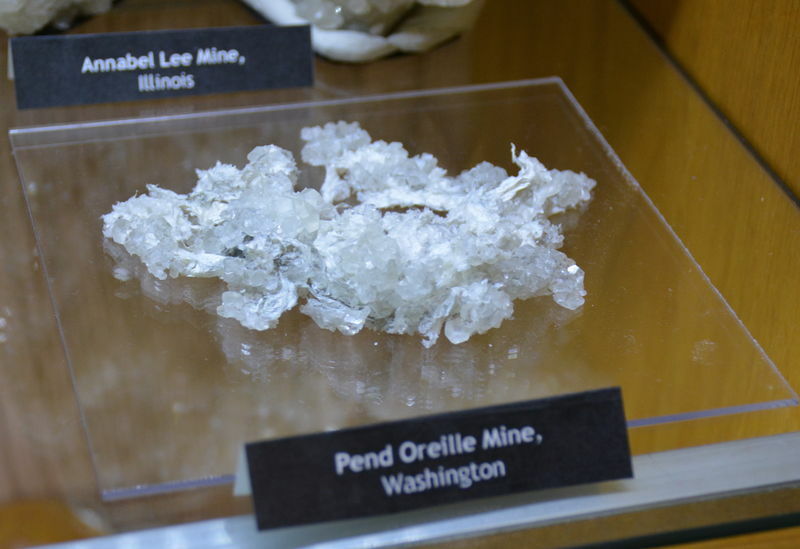 Posted: Jan 02, 2015 23:42 Post subject: Re: Mineral Display Case Project. 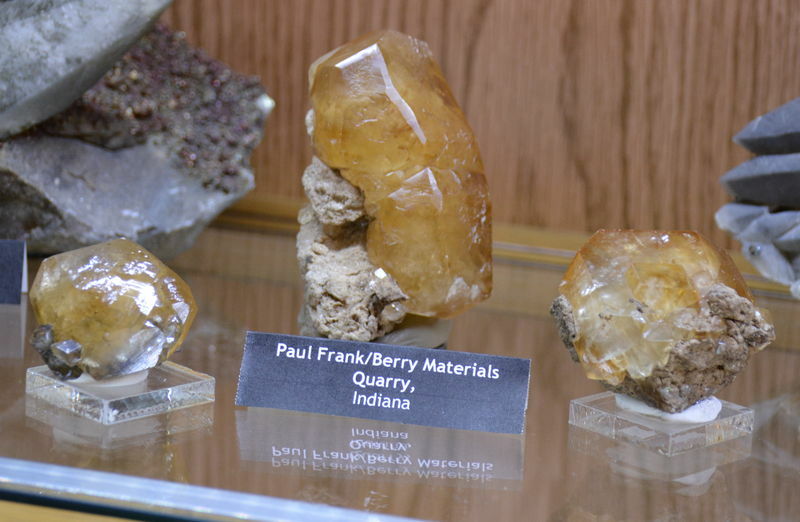 The Berry calcite twin in the middle is the one Reo Pickens regarded as the best one he collected at the quarry. 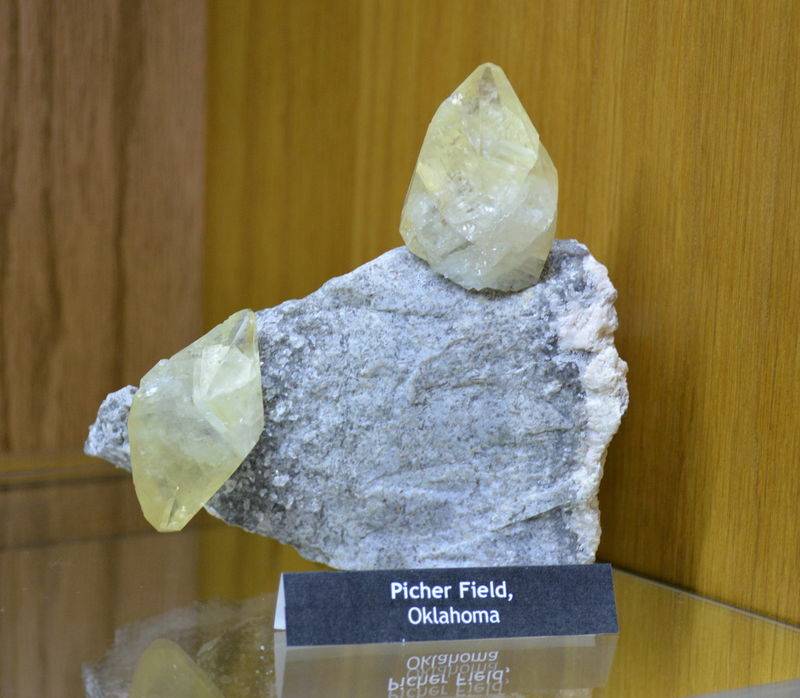 Posted: Jan 02, 2015 23:51 Post subject: Re: Mineral Display Case Project. 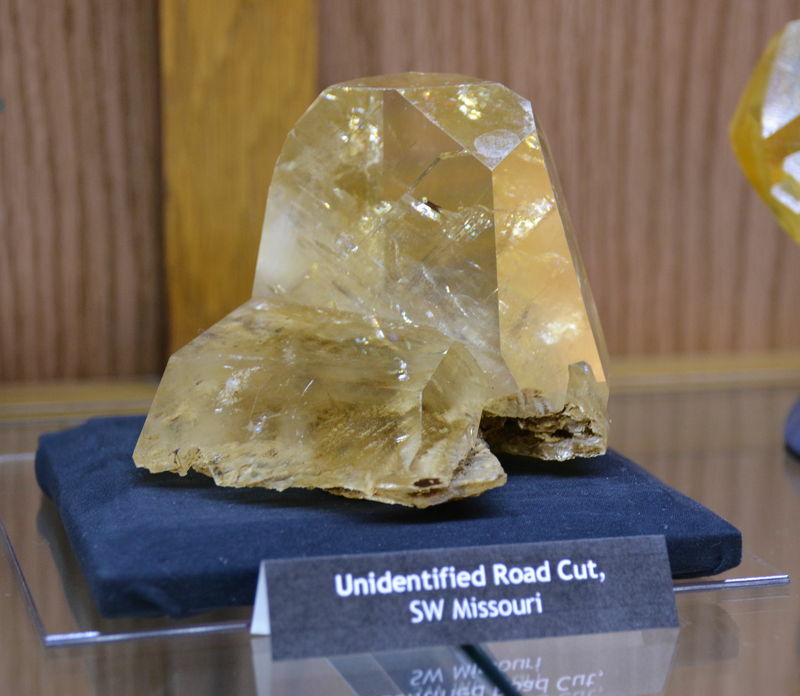 The SW missouri piece is one I tried to gather more information on. Efforts to contact Marvin Ellis who traded for the piece in Tucson (sometime in the early 90s) were unsuccessful. It's supposedly one of 10-12 in existence. 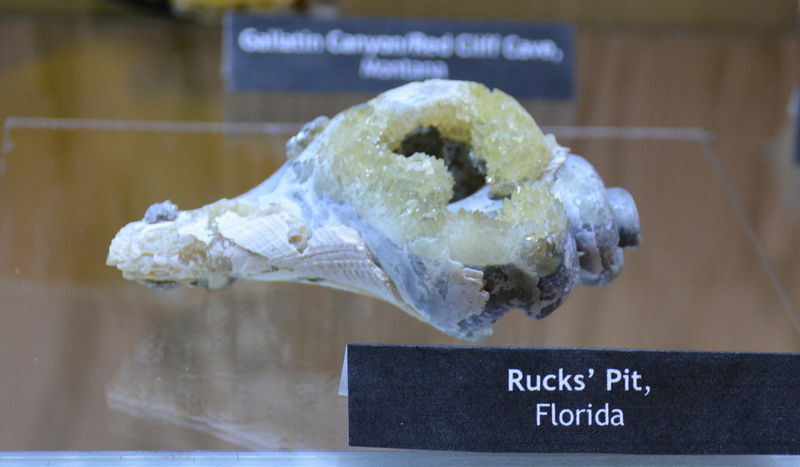 It's the most gemmy calcite I've ever seen. The Gallatin piece is pretty big (6 inches). The rough and cut Benchmark Quarry pair are original Bill Hladysz material (about 25 years old). 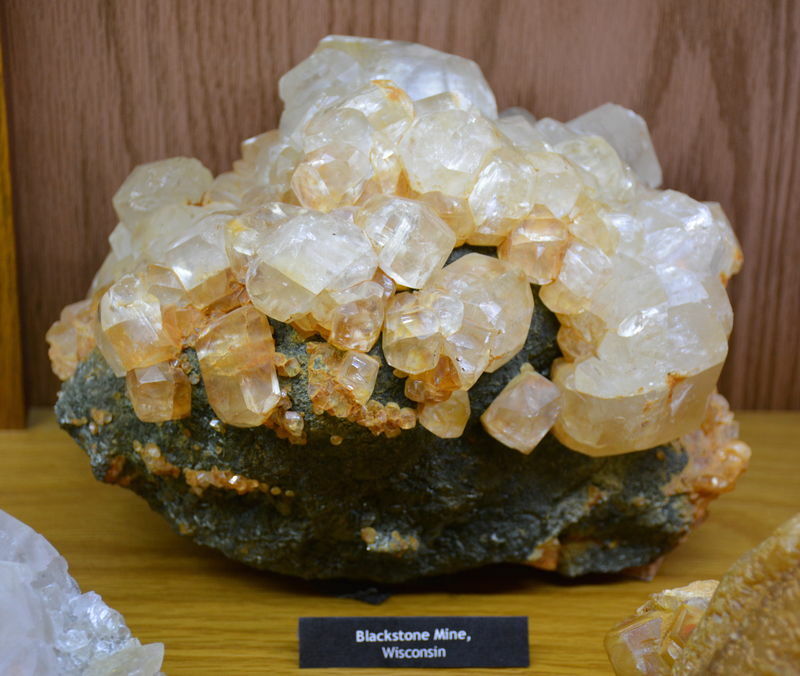 Posted: Jan 02, 2015 23:53 Post subject: Re: Mineral Display Case Project. 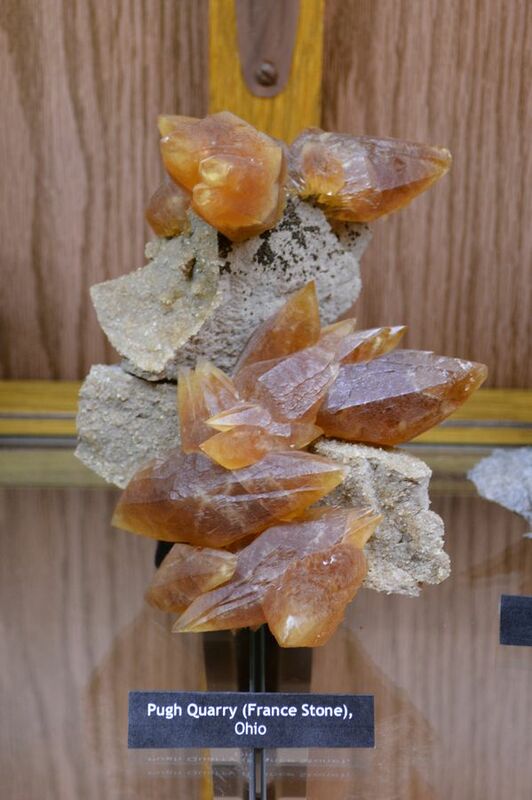 That's a nice assemblage of Calcite from various states. I personally like the pieces from Elmwood Mine and Sweetwater Mine especially when they have an association. However personally I would choose a Dalnegorsk Calcite or a Canadian Calcite such as those from Inverhuron or from Southern Ontario Quarries. What is the sizes of the specimens displayed? Also for the labels did you fold half of it to create a support or rest for them? It is hard to tell from the photographs. 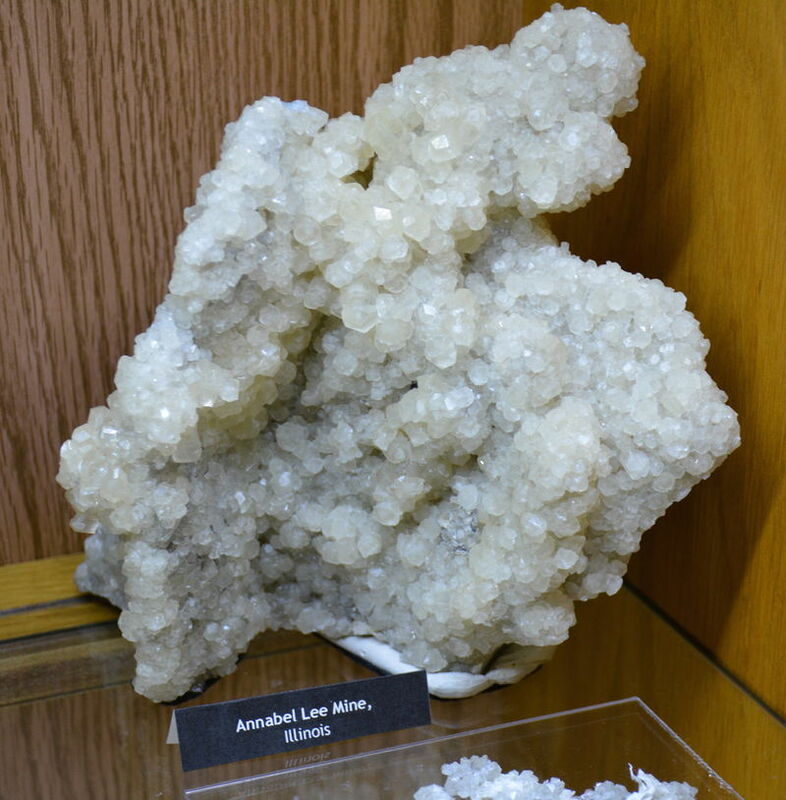 Posted: Jan 02, 2015 23:55 Post subject: Re: Mineral Display Case Project. This Sweetwater piece is 1973 Gary Hansen. The Picher piece is a bit of a joke since the top crystal is just glued on there from somewhere else. At least it was cheap. 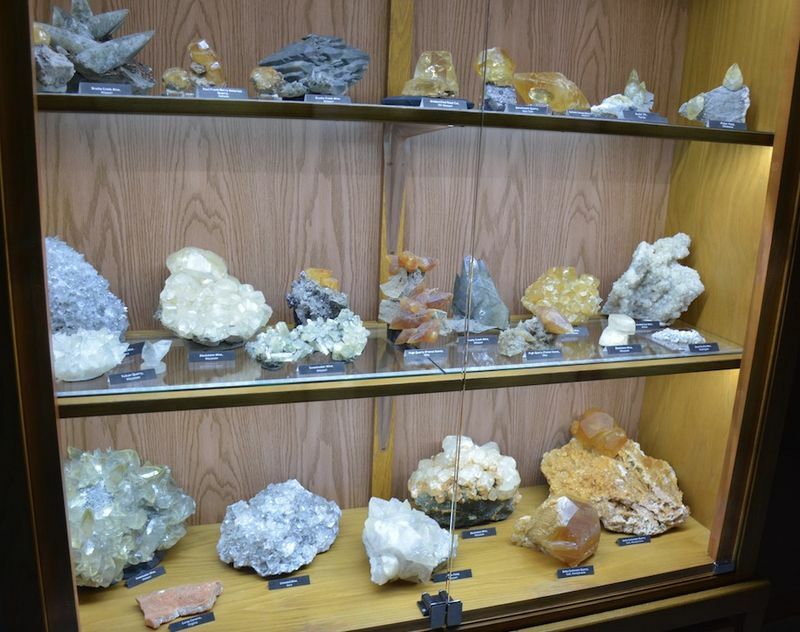 Posted: Jan 03, 2015 00:01 Post subject: Re: Mineral Display Case Project. All the specimens are cabinet to large cabinet sized. The width of the case is 46 inches for reference. The labels are just folded paper. They aren't supporting anything. I put either felt feet or custom plaster bases under a lot of the specimens. I painted the plaster the at least match the matrix color for some of them. 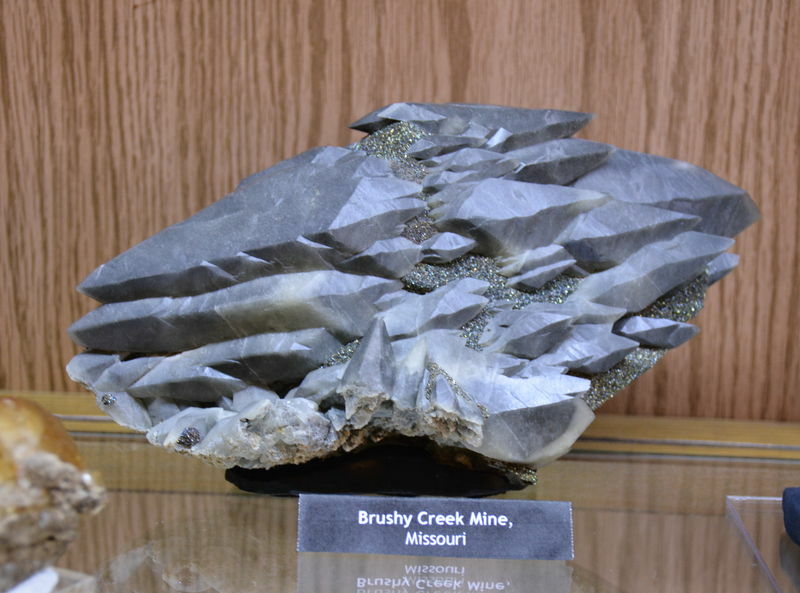 Posted: Jan 03, 2015 00:16 Post subject: Re: Mineral Display Case Project. A few full case pictures to top it off. 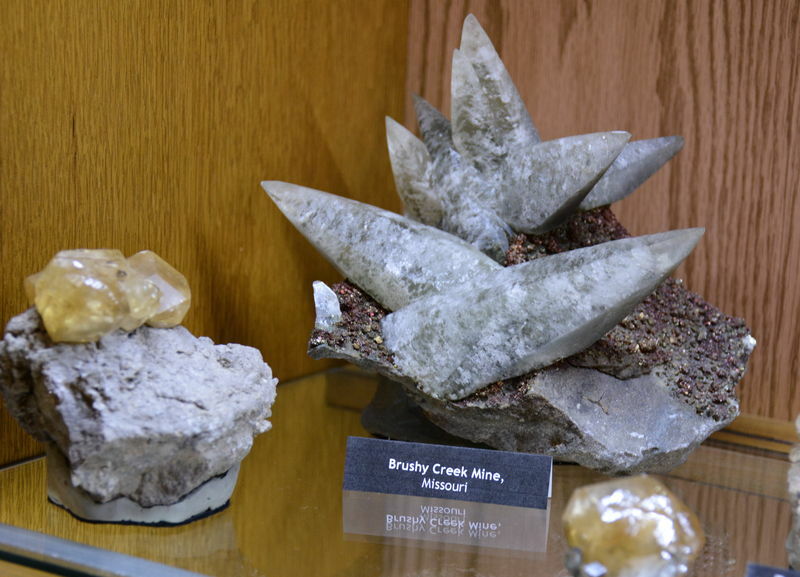 Posted: Jan 03, 2015 01:30 Post subject: Re: Mineral Display Case Project. 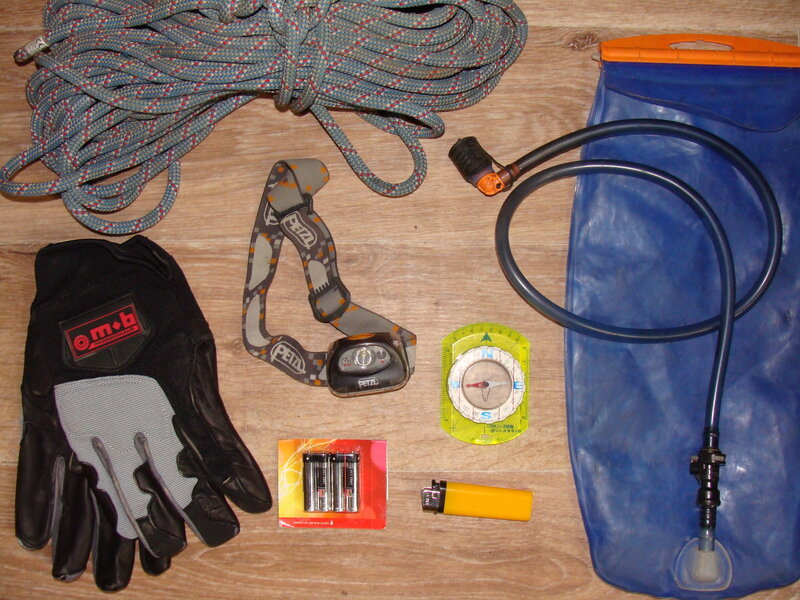 Ed you can post up to 10 images per post rather than three per post. I was wondering if you could tell me what kind of camera and perhaps lighting you use to take photographs of your specimens? 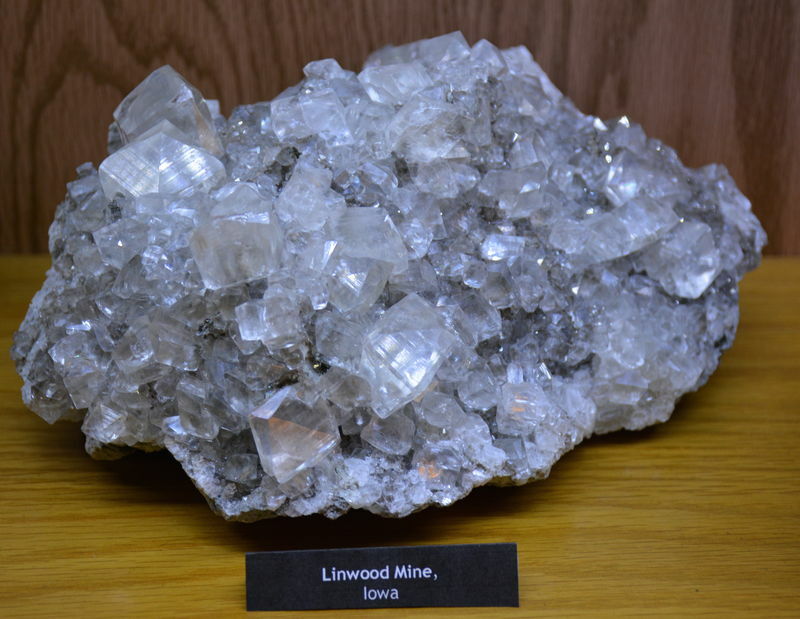 Posted: Jan 03, 2015 04:02 Post subject: Re: Mineral Display Case Project. 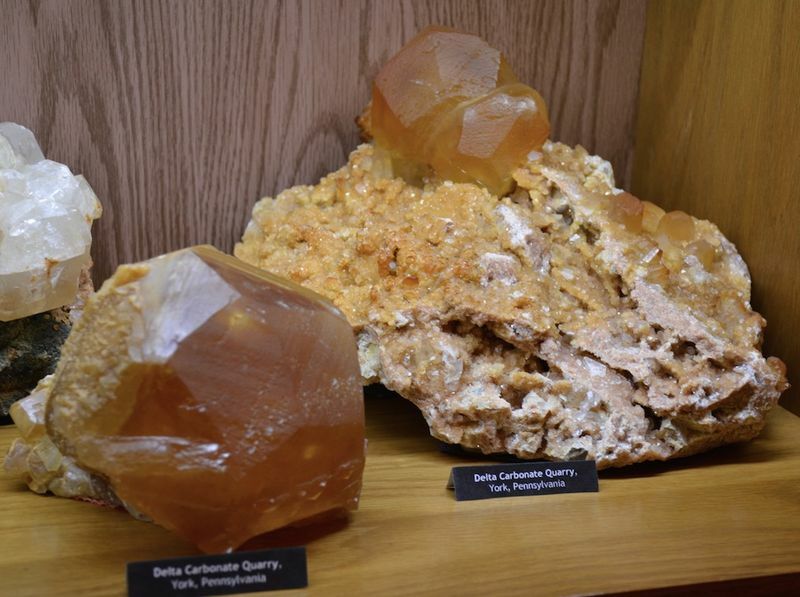 This display looks simply great, a wonderful presentation of your calcite collection!!! 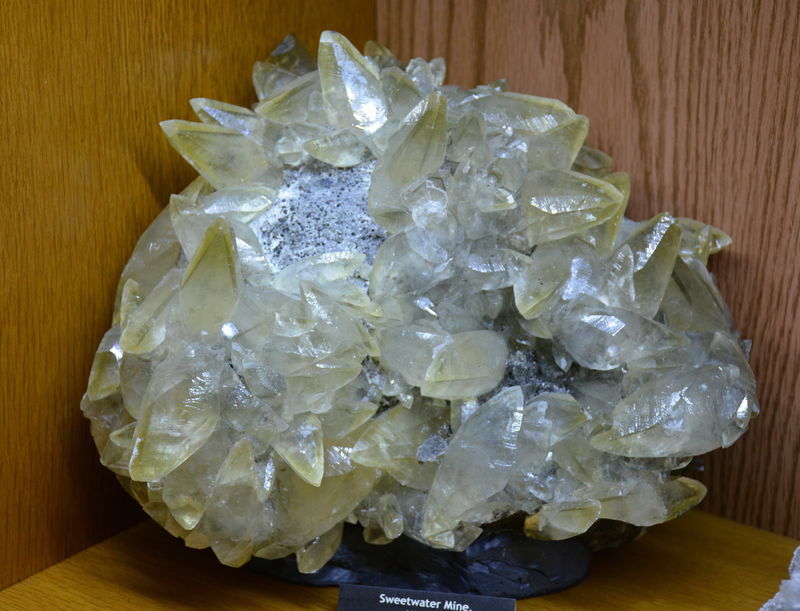 Posted: Jan 03, 2015 10:31 Post subject: Re: Mineral Display Case Project. The lighting in the photos is just the case lighting which is 5050 color temperature LED strips. 69 LEDs per shelf. The camera I used is a Nikon D7100 with no special adjustments on the settings for these photos. 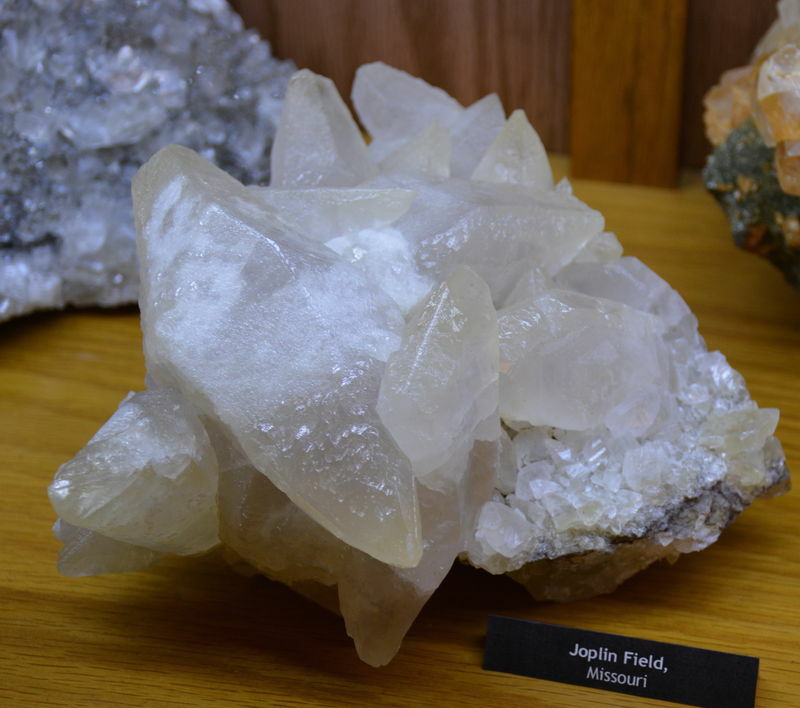 Posted: Jan 03, 2015 17:01 Post subject: Re: Mineral Display Case Project. Nice looking cabinet and display. You have some great calcites. 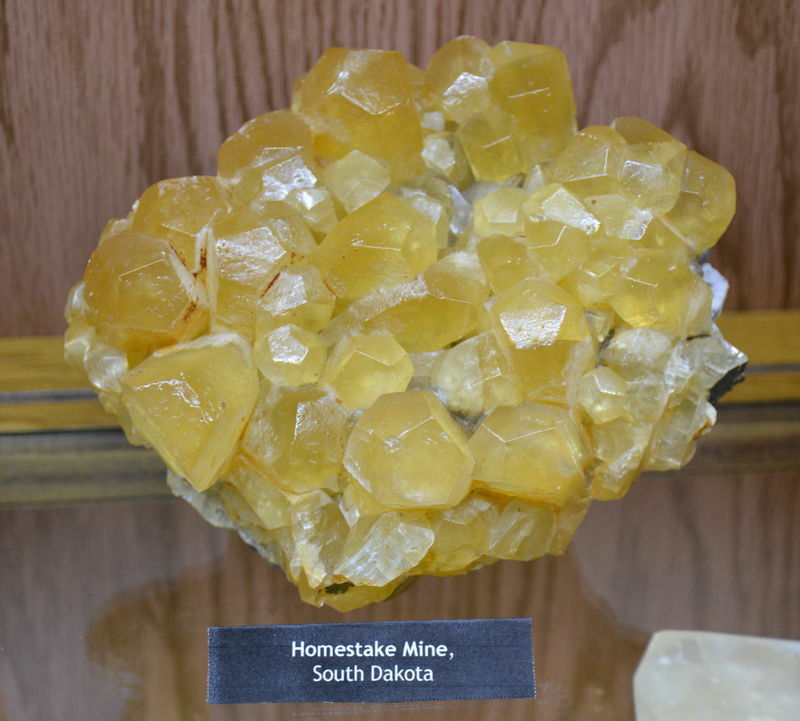 I would be concerned that the Homestake Mine calcite might be mis-labelled. 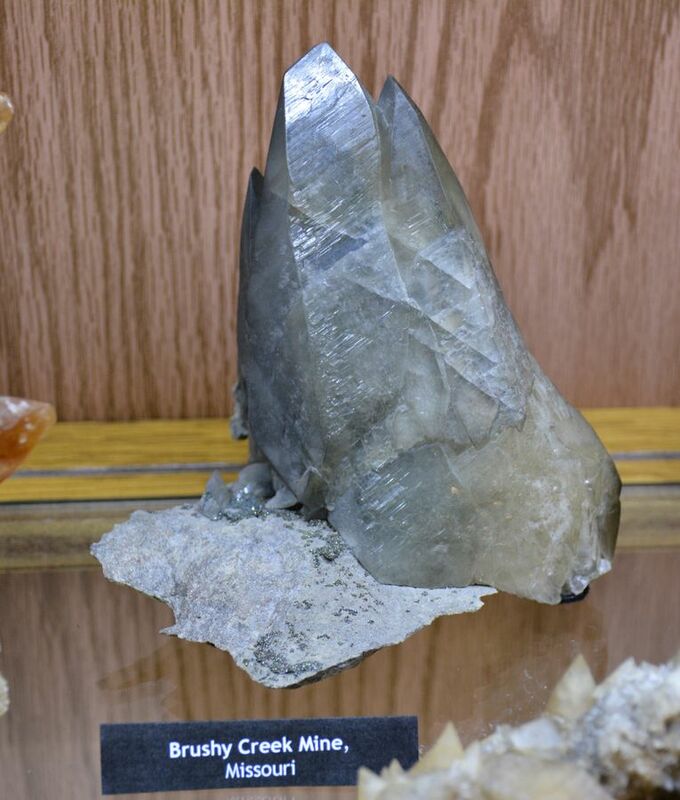 I know of no calcites of this habit from the Homestake Mine, Lawrence Co., SD in the SDSM&T collection or the Black Hills Institute collection. What is the matrix? Most of those from the Homestake have a little phyllite or cummingtonite- gruenerite schist on the back. 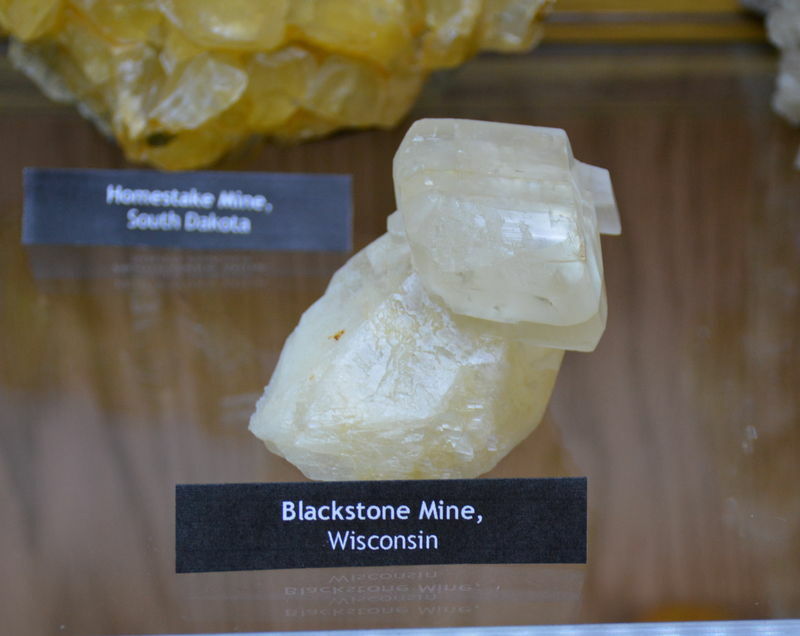 Homestake Mining Corporation has (had) mines in many states, most referred to locally as the Homestake Mine. Perhaps this one got attributed to the wrong state somewhere along the line.